In September 2007 the Ontario Provincial Government passed legislation allowing dental hygienists to practice independently. These changes made it possible for dental hygienists with an entrepreneurial spirit to open their own clinics. This allows improved access to dental hygiene services, at a more affordable cost, as the Ontario Dental Hygiene Association fees are less than the standard Ontario Dental Association fees. from the moment you walk in the door. TLC Dental Hygiene is owned and operated by Lisa Castrucci, RDH. Lisa graduated from George Brown College as a dental hygienist in 2001 and has been providing dental hygiene services to residents of Georgetown and the surrounding area since 2003. In January 2009, Lisa realized her dream to open her own clinic, conveniently located at 360 Guelph St, Unit 40, Georgetown. 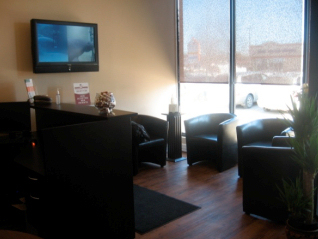 Her clinic boasts state of the art equipment in a comfortable and relaxing setting. TLC Dental Hygiene is proud to accept most insurance plans, please contact us for more information.